If you’ve ever wished your GPS had a sense of humor, Waze has a solution. The crowd-sourced traffic and navigation app announced a new partnership with Universal Pictures to introduce a celebrity voice navigation feature. 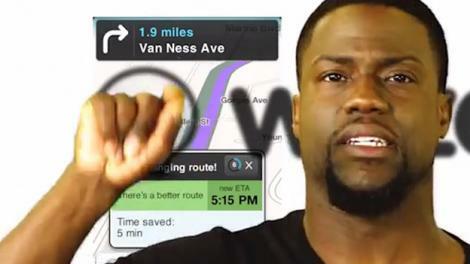 Comedian Kevin Hart will be the first to voice turn-by-turn directions in the app. Waze, which offers voice-guided GPS navigation gleaned from users who share real-time traffic information, now gives users the option to replace the generic voice with a celebrity’s. Hart’s voice is currently available in the app, but the company hasn’t announced which other famous co-pilots will be available to users in the future. His signature voice and humor made him the perfect celebrity voice guide for Waze,” Doug Neil, executive vice president of digital marketing at Universal Pictures, said in a statement. 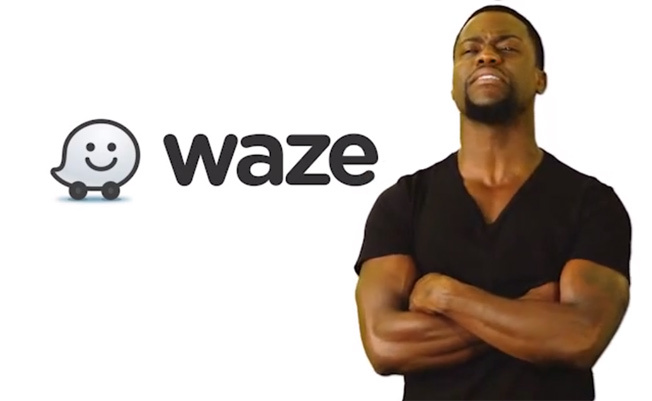 Waze promoted the new feature with a YouTube video (see below) featuring Hart, where he spoofs traditional GPS navigation systems. “I need you to take the third exit. Wait, wait, wait. Wait. Okay, yeah. The third exit,” he says when commanding a user to use a roundabout. Waze is free, and available on both iOS and Android.